Russian official accuses brewers of making ‘chemical weapons’ by adding alcohol to beer during the fermentation stage. Russia’s top narcologist (drug and alcohol specialist) has accused brewers of adding pure alcohol to beer in the fermenting process. Yevgeny Bryun was quoted on Friday saying, "In general, beer and tinned low alcohol cocktails are a pure chemical weapon. Alcohol is added at a certain stage of production to make it stronger." He says that brewers add the alcohol to speed the fermentation process. 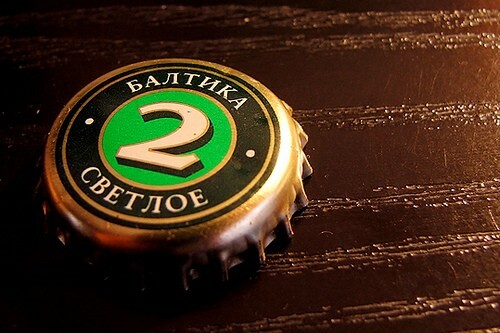 The Russian government has just tripled the excise tax on beer in a move to reduce domestic consumption. Officials are also considering blocking the sale of beer at small kiosks and perhaps even monopolizing the brewery industry as ways to exert control over industries that supply Russians with the average of 18 liters of pure alcohol consumed by each and every citizen annually. In July, the Lancet British medical journal published research showing that alcohol was directly responsible in the deaths of half of those Russians who die between the ages of 15 and 54. 2 Miller Marketing Alcohol to Kids? 29 Attorney Generals Express Concerns.